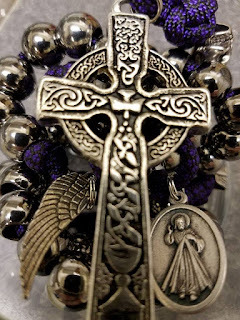 At Wisdom's End: Fair Questions: Why have I added even more skull beads on my rosaries? 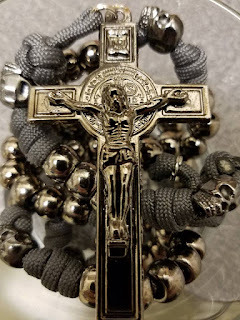 Fair Questions: Why have I added even more skull beads on my rosaries? 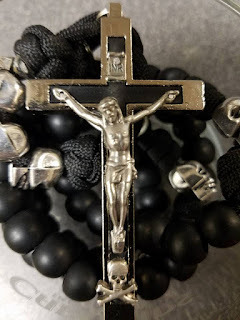 As I've mentioned before, I have reasons for adding skull beads to my rosaries. I've prayed the Rosary in many of those ways, and found them all beneficial. Since the last time I wrote, I have added more prayers to my Rosary repertoire. Listed below are a few more of the ways I pray the Rosary. 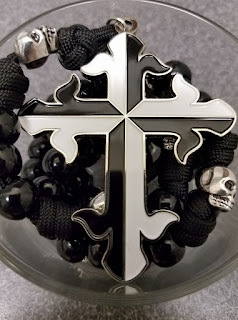 Read on to find out why I have continued to add skull beads to my rosaries. In English, this is what I call "A Holy Death" rosary. It's based on the quite ancient Dominican way of praying the Rosary. The only difference is an added prayer between each of the decades and at the end of the final decade. "Seigneur, que le Pirate des Ames ne dérobe pas ceux qui T'aiment, que leurs actes d'amour soient grands ou petits, et accorde-leur une mort sainte." English translation: "Lord, let not the Pirate of Souls steal away those who love You, whether their acts of love be great or small, and grant them a holy death." This prayer is inspired by the two French saints (Joan of Arc and Thérèse of Lisieux) whose medals are attached to it, and also by the skull and crossbones on the crucifix. It also draws upon Sacred Scripture and Christian mystical theology. I prefer to use this rosary to pray for my friends and family who have died. The Domini Canes Rosary is inspired by the Dominican-style rosary with a large Dominican cross (see the coat of arms of the order). I pray with this rosary in the Dominican way of praying the Rosary, though I pray an additional prayer when I come to each skull bead (there are 6 of them). "Por favor, Señor, ayudame siempre a buscar para Tus corderos perdidos como un amable Sabueso del Señor, guiando ellos con paciencia ilimitada y un amor del autosacrificio, al pasto de Tu hogar paradisíaco del mismo modo como Tu santo siervo Domingo de Guzman lo hizo en la vida y en la muerte." English Translation: Lord, please help me to ever search out your lost sheep as a gentle Hound of the Lord, leading them with boundless patience and self-sacrificial love to the pasture of Your heavenly household, just as your holy servant St. Domingo de Guzman did in life and in death. Those familiar with St. Dominic (as he is referred to in English) may know that the order he founded, the Dominicans, had a pun made on its name. The Latin words Domini Canes can be translated as Hounds of the Lord. The Gunmetal Dust Rosary was inspired by the Rule of St. Benedict's instruction to "Keep death daily before one's eyes." and my reading of St. John Climacus' The Ladder of Divine Ascent, which devotes an entire chapter to the remembrance of death. I pray this Rosary according to the Dominican form, though I add an additional prayer when I arrive at each skull bead between the decades. "Lord, please help me to remember that it was from dust that I was formed, and that it is unto dust that I shall return." I mentioned previously that Ancient Christianity has placed a great emphasis on the importance of a holy death. At the time that Christ died, it was much easier to follow the Rule of St. Benedict by keeping death daily before one's eyes. Most of the population was much more familiar with death than we are today. The wealthy elites watched people die in real time in the arenas such as the Coliseum, the poor farmers went through many a cycle of life and death with their animals, sailors lost friends to the sea, and lifelong soldiers were so intimate with death that they might as well have counted it among their close friends. Add to this that the infant mortality rate was high, and making it to adulthood without dying from something or another meant that you were doing pretty well. The upshot of the sheer frequency of exposure to death is that, whether via an unhealthy desensitization to violence or a mature acceptance of the reality of suffering, people were generally more accepting of death. Death was so ubiquitous that it could not be avoided except by unusually insulated individuals. 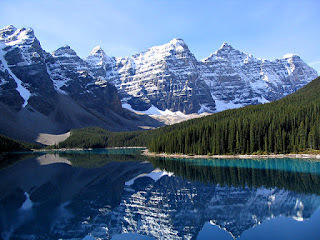 Now there are parts of world in which much of the populace has no close encounter with death. They never see the animals whose flesh they eat with blood spurting out of their necks upon being slaughtered. Infant morality rates are very low, and crime rates are low as well. Dangerous frontier areas are now uncommon in many countries. Wars are less often a case of soldiers killing one another on the field and more a case of soldiers killing from a distance with new technologies. In some parts of the world where Death was an ever-present varmint 150 years ago, it's now an endangered species. Even in areas in which it is still common, in many of them it is at least less common than it was before. So for those of us living free of the majority of experiences of death that our ancestors would have faced, it is more difficult to remember our own deaths on a regular basis. And it is easier to deny the importance of keeping our mortality ever in mind. The resurgence in memento mori artifacts is at least partially a consequence of more people being aware of how distant we have become from the reality of death and its severity. And at an individual level, we ought to find ways to bring that awareness of our own mortality and frailty into our lives through daily habits. A rosary with skull beads is one nice way to do that. Or in my case, lots of rosaries with skull beads because I needs lots of reminders. Note: The large rosaries with silver-finished skull beads are from Rugged Rosaries. 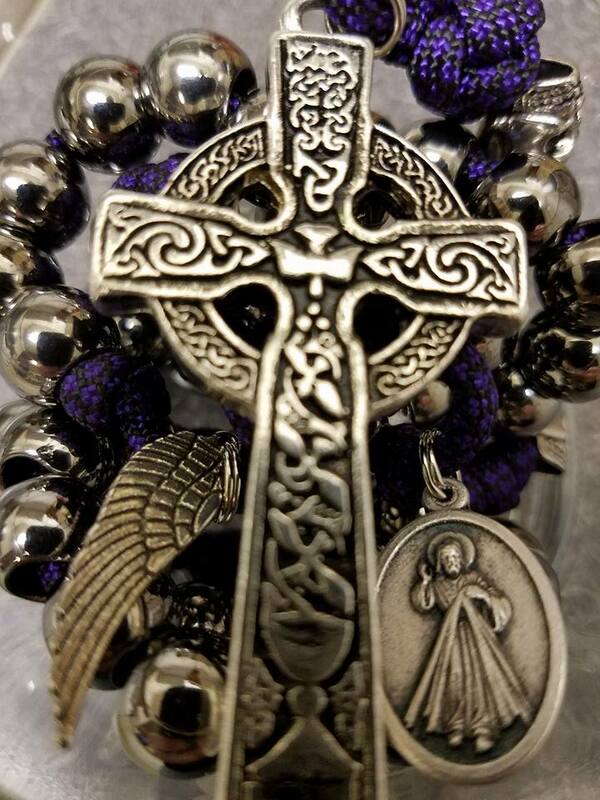 I highly recommend them for custom rosary designs that are both beautiful and extremely durable. Fair Questions: Why am I not Eastern Orthodox?